Dean Shiels will leave our club when his contract expires today (31 May). Dunfermline Athletic will play East Fife at the Locality Hub Bayview Stadium on Saturday 30 June. 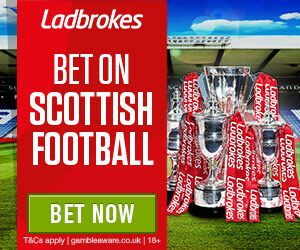 Work required around the ground before the 2018/2019 Ladbrokes Championship season begins. Dunfermline Athletic are deeply saddened to hear the passing of former player, Neale Cooper. Welcome to Episode 3 of Black and White Noise, the official podcast of Dunfermline Athletic Football Club. Seventeen year old Kieran Swanson is one of six signings from Fife Elite. The former Queen Anne High School pupil has signed a two year apprenticeship deal with the East End Park club. 22/05/18: AJ - “We want automatic promotion, if possible. We know that’s difficult, only one team can do that, but even if you get into the play-offs it gives you a massive opportunity. 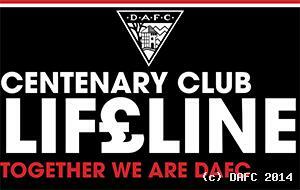 Dunfermline Athletic is delighted to announce that 2018/19 Season Tickets will go on sale from Wednesday 9 May. Dunfermline Athletic are pleased to launch Be Our Guest, giving fans the opportunity to purchase a season ticket and donate to a worthy cause. DAFC can announce that Michael Paton and Aaron Splaine will leave our club, when their existing contracts expire on 31 May. “It will be good to continue it on and really show what I can do next year. The law on data protection is changing, so if you would like to continue to receive all of the latest news and offers from the Club you’ll need to ‘opt in’ before Friday 25 May 2018! 17/05/18: Allan Johnston:- “It is always good when you get players on board. Dunfermline Athletic are delighted to announce that Lee Robinson, Lee Ashcroft and James Craigen have signed new contracts with the club. Dunfermline Athletic are pleased to launch the Commercial brochure ahead of the 2018/2019 Championship season. 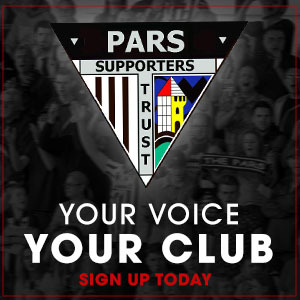 The next Supporters` Council meeting will take place on Thursday 24 May in The Purvis Suite, East End Park (7pm). DAFC can announce that Conner Duthie and Scott Lochhead will leave our club, when their existing contracts expire on 31 May. Dunfermline Athletic are pleased to announce that Lee Ashcroft`s red card appeal has been successful. 05/05/18: "We dominated the first half, I don`t think that we have been that comfortable all season. Like many other Pars fans, I had a sleepless night trying to process how we manage to lose the tie to Dundee United. 04/05/18: link to audio of both managers. “We probably four really good chances where you are expected to score and that has probably come back to haunt us. 03/05/18: “I don’t think being away from home is a disadvantage either, not with the crowd that we are going to take. Dunfermline Athletic Football Club are appealing the second half red card issued to Lee Ashcroft, during Tuesday’s 0-0 home draw against Dundee United. Dunfermline Athletic is embarking on an exciting new link-up with their Ladies team, Dunfermline Athletic Girls & Ladies Football Club. 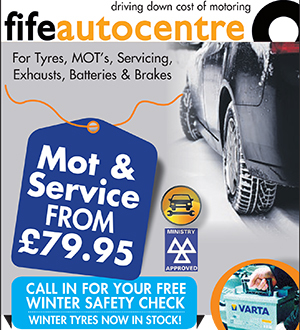 Dunfermline Athletic were pleased to welcome Carron Bathrooms to East End Park for Saturday`s match against Dumbarton. SPFL Premiership Play Off: same again Pars starting eleven. Lee Ashcroft red card (55). 30/04/18: “Now, it’s up to us. The season’s not finished, there’s a lot to play for.